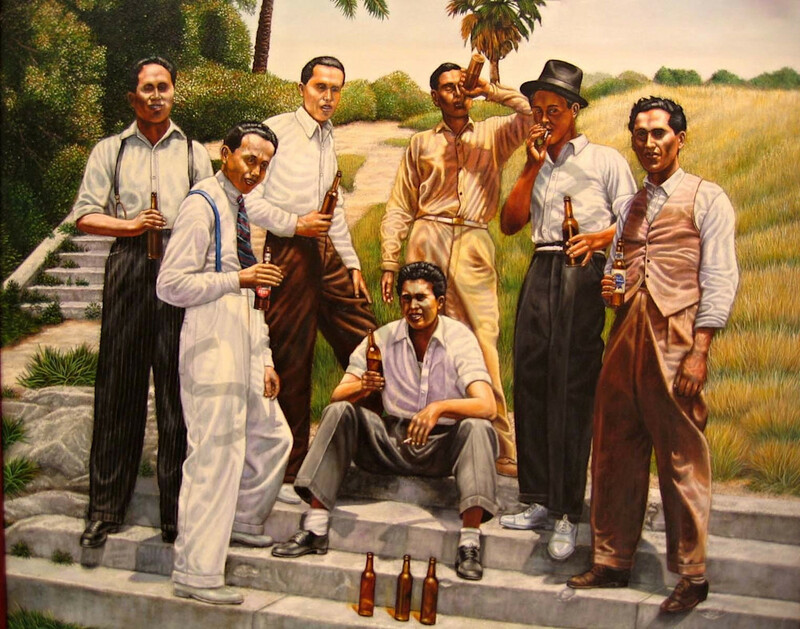 7 young hispanic men hanging out before they all attended church in a Los Angeles barrio circa 1936. This was a commissioned work by one of the people in the painting. This group was hanging our on a Sunday in an East Los Angeles Barrio. This Limited Edition Giclee is 30x36, its original size. There are only 120 high quality canvas prints available including a Certificate of Authenticity. The price is exclusive of any tax, shipping, or frame.